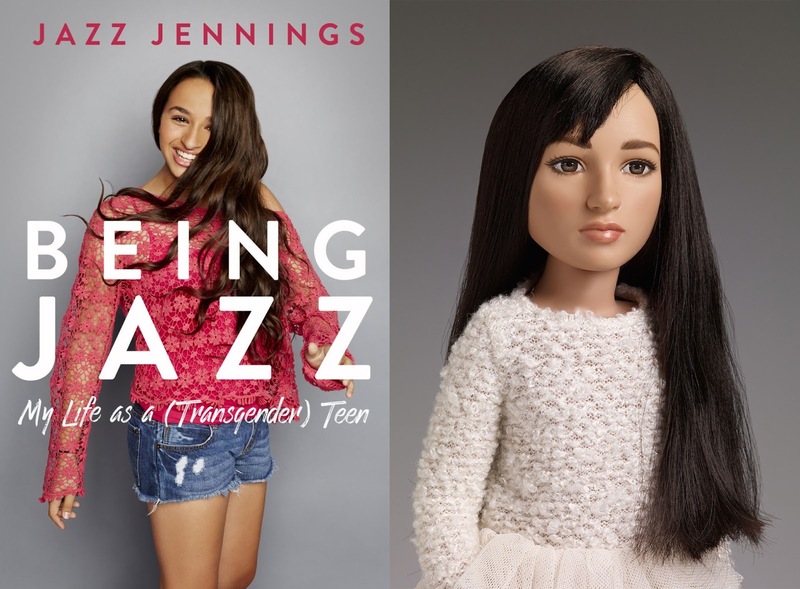 Transgender star of TLC's docuseries "I Am Jazz", Jazz Jennings, will take form as the newest Tonner play doll. The 18" portrait doll was designed and sculpted by renowned doll artist Robert Tonner. 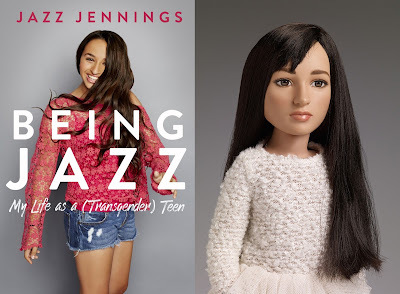 With the Jazz Jennings doll, Tonner continues its history of ground-breaking doll line introductions based on socially transformational heroes, who have included the plus-size model Emme and Carmen Dell 'Orefice, whose first Vogue cover was in 1946 and who remains a working fashion model. Robert Tonner, CEO of Tonner Doll, states "Jazz stands for everything I respect from a human nature point of view-she's incredibly brave, intelligent, warm-hearted and creative." Jazz is the youngest person ever to be recognized in The Advocate Magazine's, "Top Forty Under 40" annual list. She was named as one of TIME Magazine's Most Influential Teens for 2014 and 2015. She is also listed on Huffington Post's 14 Most Fearless Teens of 2014. In 2015 she became one of the faces of Johnson & Johnson's Clean and Clear Campaign: "See the Real" Me. In June of 2015, Jazz was invited to the White House where she met President Obama. In October of 2015 she was honored as Miss Teen Pride USA. In August of 2016, Jazz was recognized on Teen Vogue's 21 under 21 list. Jazz served as Grand Marshall during the 2016 New York City Heritage of Pride March. She is the youngest person to serve as Grand Marshal in the history of the march. In 2014, Jazz co-wrote a children's picture book with Jessica Herthel titled "I Am Jazz". She and her family continue to participate in many media projects with a goal to educate, and spread the message of tolerance and acceptance for all Transkids. Jazz's memoir, "Being Jazz: My Life as a (Transgender) Teen" was released in bookstores and digitally on June 7th, 2016.